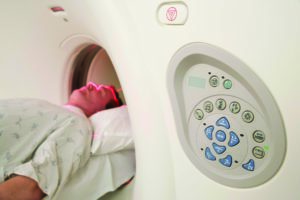 Ontario’s Ministry of Heath and Long-Term Care has given Lennox and Addington County General Hospital (LACGH) approval to install a computerized tomography (CT) scanner this June and ramp up its operations over the summer months. Karen Pearson, the director of imaging services at LACGH and the Kingston Health Sciences Centre (KHSC), confirmed to the Beaver Thursday the news came early last week the hospital’s business plan for the service was accepted without conditions, allowing installation, staff training, and implementation to proceed. The development signals the end of an exploration and approvals process three years in the making. 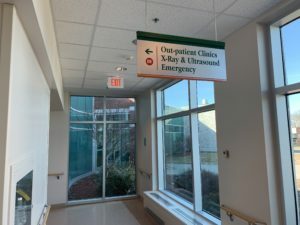 “The hospital recognized that diagnosis and care was delayed as patients had to be transferred from the emergency department or the inpatient floor to another hospital for a CT scan — usually to KHSC,” Pearson said, adding it was also noticed a large number of out-patients traveled to Kingston or Belleville for scans. There were days, she said, when it wasn’t uncommon for the hospital to transfer five patients to Kingston alone for scans, using time, resources, and providing a more inconvenient experience for patients and their families. LACGH then developed a business plan with peer input from neighbouring hospitals to convince the South East Local Health Integration Network and the ministry that a service was required and could be supported financially over time. Pearson said the plan specifically presented the capital investments in equipment, siting, and information technology infrastructure needed to offer the service, the complement of radiologists and technicians required and their staffing hours, and the regional benefits to localized services. At present, Pearson said the hospital has the physical space ready to accommodate the installation, which is scheduled the week of June 10. Setting up the equipment itself is a small part of the roll-0ut. The major thrust will be in creating the staffing and protocols to help ramp up the service to scan 10,000 patients by the end of the first year. Ongoing operations would sustain or increase that number. Dr. Annette Polanski, the medical director of the LACGH diagnostic imaging department, likened it to buying a car. While one could crank it up to full speed on the open road right away, they could be more prudent to warm up by slowly testing the engine, brakes, and other features. Scheduling, supply purchasing, and developing processes for patient booking and reporting lie ahead. Erin Brown, the diagnostics imaging manager at LACGH said the start will feature regular daytime operation from Monday to Friday, then progress to evenings and weekends, as well as urgent service when medically necessary. “We’ll have on-call staff available for when we have trauma and events in the night, just like X-ray services,” she said. Already, one of the hospital’s current imaging technologists has been trained for CT scans, having spent weeks at Kingston General Hospital (a hands-on environment in a teaching setting) practicing her skills. She will also take an intensive course in Milwaukee, WI about the specific equipment arriving in Napanee. Two other technologists will be trained. Also, within the next week, the hospital will be interviewing to hire a senior technologist to lead the CT operations team. “Usually, that’s somebody who has several years of experience in CT in that role,” Pearson said. In terms of the type of scans provided, Napanee will host a range of imaging of the head, neck, chest, pelvis, and limbs. Some specialized imaging like cardiac scans, lung biopsy, paediatric scans, and colonography will still be performed in Kingston or in Belleville. “It’s about finding the best fit and safety for patients, using the skills of our regional partners,” Polanski explained. She said some of those procedures require additional pieces of equipment and some are referred to radiologists with more specialized care in their areas of expertise, as one might find in a larger hospital. Though the ministry approved the installation, Pearson said no additional money is provided for its operation. Hospitals are required to pay for all capital costs and ongoing operations within their own funding envelope. While LACGH did not disclose its capital costs, CT scan machines can run from $750,000 to $1.5 million, not including ancillary furnishings. 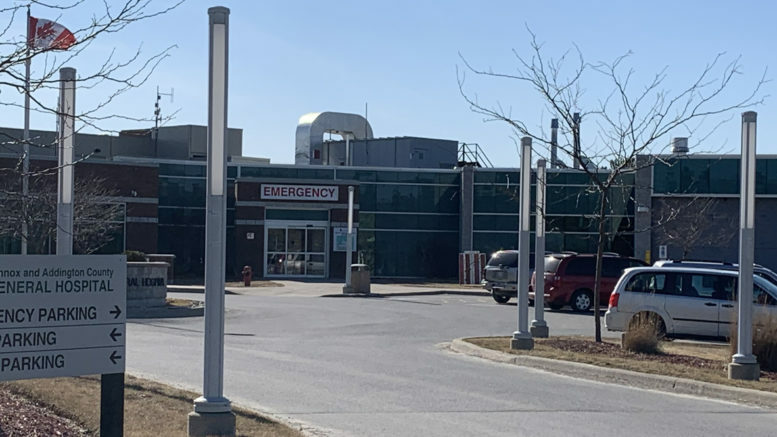 Pearson indicated that staffing, maintenance and supplies would cost the hospital a minimum of $400,000 annually, which it plans to offset through its provincial funding allocation and other revenue streams. Fortunately, the hospital’s history of sound fiscal management put it in a position to move forward. There’s also been the benefit of tremendous collaboration. Polanski noted both chief administrative officer Wayne Coveyduck and chief of staff Dr. Kim Morrison bought into a shared vision of adding the CT scan to improve patient care closer to home. It was also supported by the hospital’s medical staff, its foundation, and the community at large. The whole goal was to improve patient care closer to home. “From the medical side of this, it is the most gratifying thing as a physician to see something that our hospital is providing make a difference in the patient’s medical journey. Every time we can alleviate a bit of stress and bring a bit of ease to a very concerning and confusing time — which is illness — that’s a professional win,” Polanski said. That’s measured locally by patients accessing service more quickly and not having to travel at the height of illness, sometimes in bad weather. Pearson added that through patient transfer and clearance through an overburdened emergency room, patients needing diagnostic scans see delays of six hours or even be delayed to the next day. Those who aren’t in an urgent situation might wait weeks for a booking elsewhere. The community-based service addresses that. Brown also added that while the change is good for patients at the hospital, it also could help ease the burden on resources at the KHSC or at Quinte Health Care so that patients with acute needs have shorter waits. “It’s nice to be able to help our region out as well with alleviating some of the load throughout the region, making a system difference,” she said. The news was met eagerly by the Lennox and Addington County General Hospital Foundation, which is gathering money for its $500,000 pledge for the project’s capital costs. Executive director Michelle Dickerson said donors have been very supportive. She added the foundation is excited to see the potential for further giving now that the project is a reality. Dickerson said she recalls patients and community members being hopeful for the news in the past. Foundation chair Robert Hough said the CT scan will bring peace of mind for medical staff and patients alike as, in most cases, they can eliminate excess time and cost of transfers elsewhere. “They need it, it’s done,” he said.